Titanium Towing in Mississauga is made up of a dedicated team ready to serve you around the clock, seven days a week. Providing the best professional services around the Mississauga area, our company offers flatbed towing, private property towing, long distance towing, local distance towing, motorcycle towingg, heavy duty towing, accident removal services, 24h car lockout solutions, 24h roadside assistance, and refueling. Over the years, we’ve received all kinds of emergency calls– getting stuck in backroads, running out of gas, machine-related breakdowns…and we’ve responded in the same effective and efficient way, with our reliable team of people only being a phone call away. We’ve reached our clients wherever they were, took them where they needed to be, attended to their needs in no time at all, and that’s the quality service that sets us apart from everybody else in the area. Not only do we do well in practice, we’re licensed as well, so you get the assurance that when you dial our number, qualified people will be answering, reaching out, and finding you to provide assistance. Here at Titanium Towing, we’re qualified, licensed, quick, and within reach, and we sure know what we are doing. The reason why we’ve been so efficient with every client we’d ever have to help out is because we understand where you’re coming from. We know just how stressful it is to be stuck in a road in the middle of the night, with no one else in sight, maybe because you’ve run out of gas, your machine breaks down for some reason you can’t figure out, or you have no spare tire in your compartment. Here at Titanium Towing, we care about you, and we could guarantee that you’ll only be charged for the towing service– nothing more, nothing less. Even when you’ve run out of gas, we won’t charge you for the refuel. 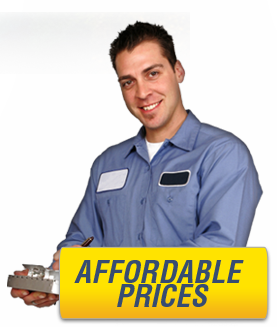 So don’t worry about the extra costs, as we offer our services at reasonable and affordable prices. We believe in transparency in transactions because it helps build a network of satisfied clients, and that’s already more than what we could ask for. Remember, we offer these services and more, as we’re ready to cater to whatever it is you need, with just dialing our number and calling us up. In emergency situations, it’s always best to call up the people who would get to the root of your problem and help you find the solution.